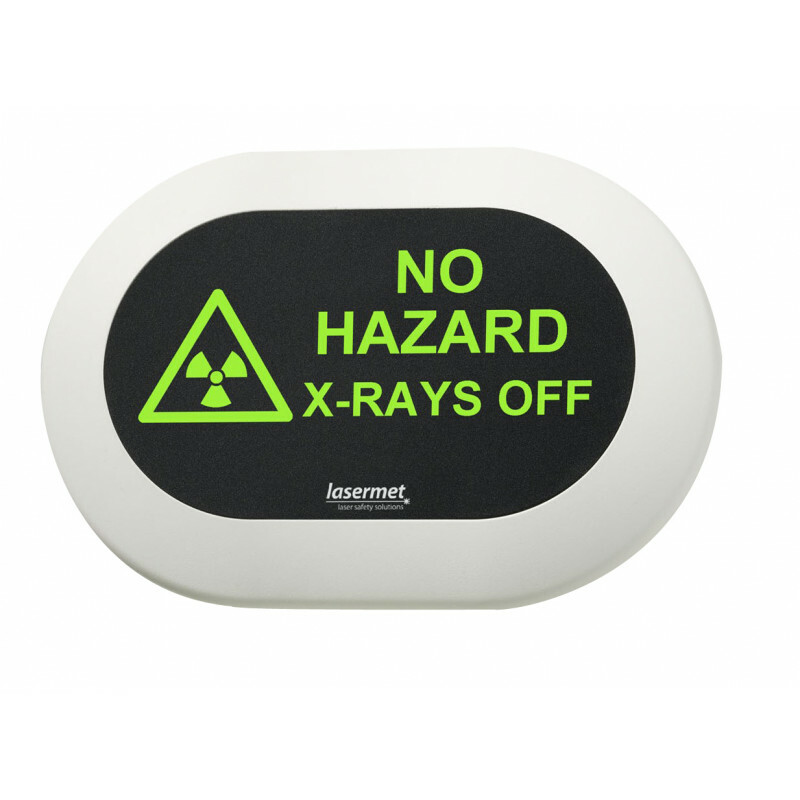 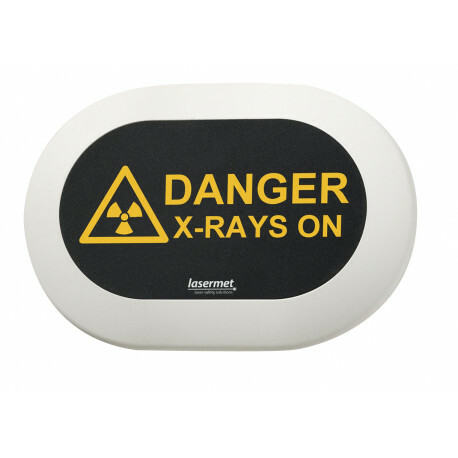 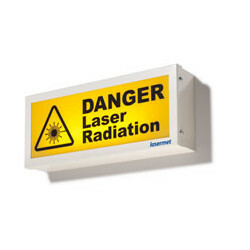 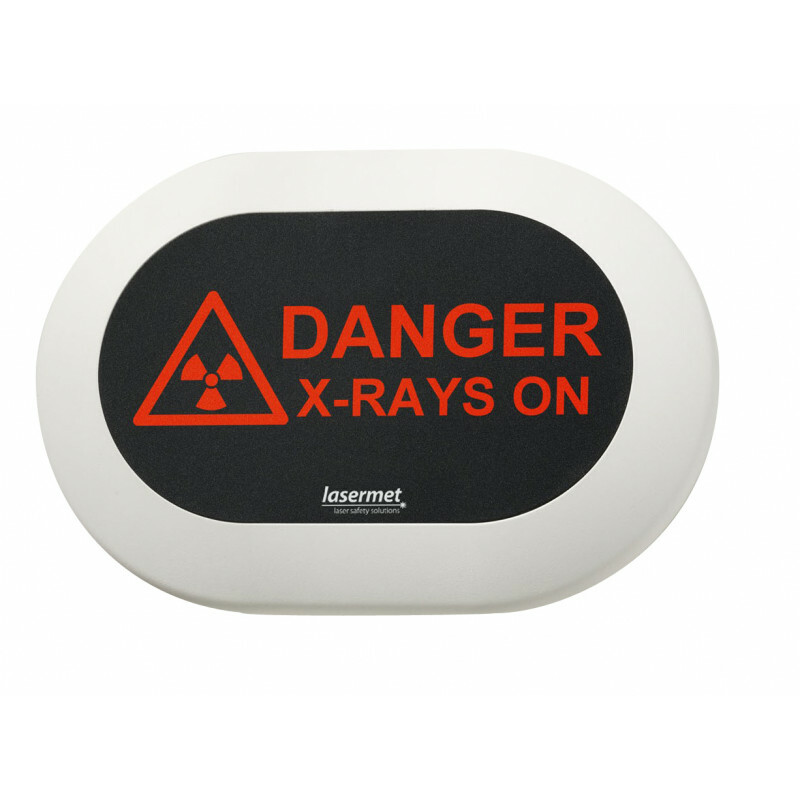 Compact and maintenance-free LED warning light to hedge X-ray ranges. 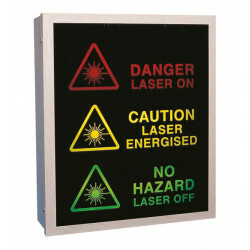 These LED room information signs are extra low voltage (24V DC), low energy, low profile signs. 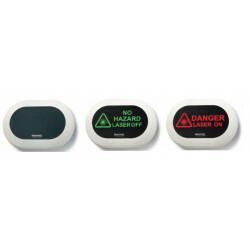 Being relatively compact they can be mounted between door handle and eye height which ensures that they will be seen by someone intending to enter the door. 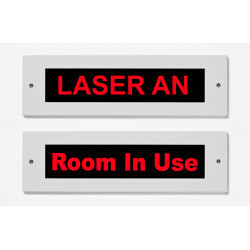 All room information signs are available as two state signs and some are available as a three state sign. 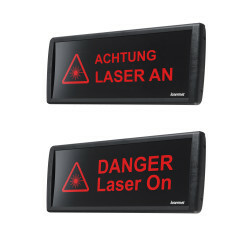 Two state signs are either off, displaying a black screen with no message, or on, displaying the message in yellow. 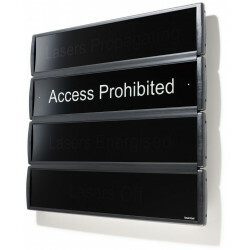 Three state signs can be off, displaying a black screen with no message, on-state A, displaying a message in green, or on-state B, displaying a different message in red. 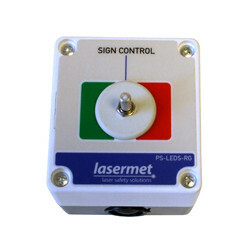 For signs that are to be hand switched (rather than automatically switched) a power supply with 2 or 3 way switch is available. 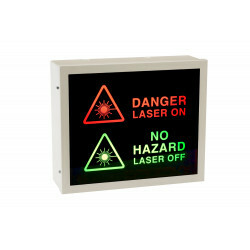 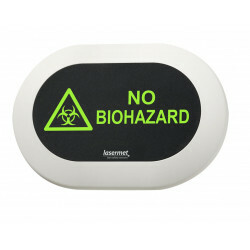 This wall or desk mountable unit has clear visual indication of the sign state, including an LED in the end of the switch toggle which lights up the colour of the sign. 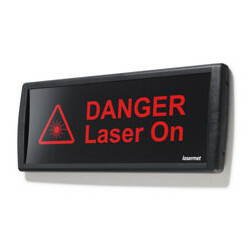 The power supply can operate up to two compact LED signs. 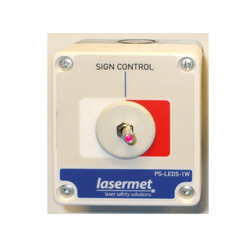 We are also able to do signs with custom wording and symbols to your requirements. 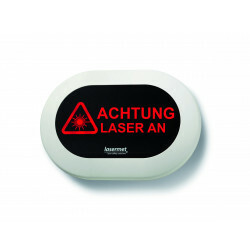 Please contact our Sales Department for information.